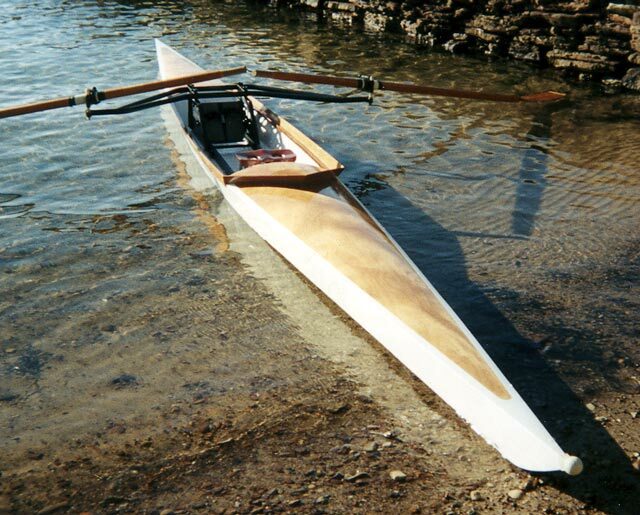 Scotland Island, on Pittwater, a large body of water about 30 miles north of Sydney, Australia, is the home port of this 20' Oxford rowing shell designed by Chesapeake Light Craft. 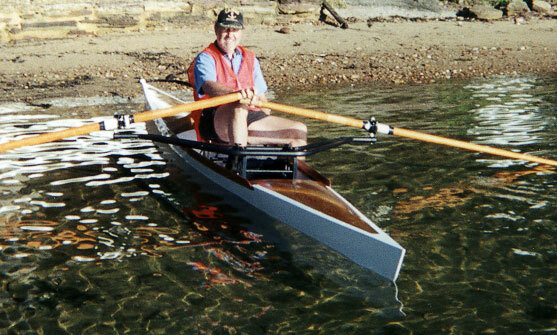 Builder and owner Francis Daly writes, " Not only does the boat look good, but it moves very well through the water when my rowing technique permits it to do so. 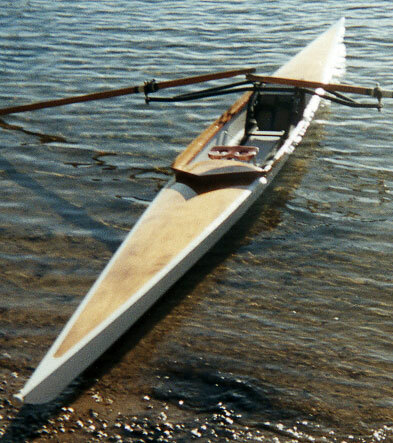 I have not had the boat out in a chop but it handles some fairly heavy washes with aplomb."